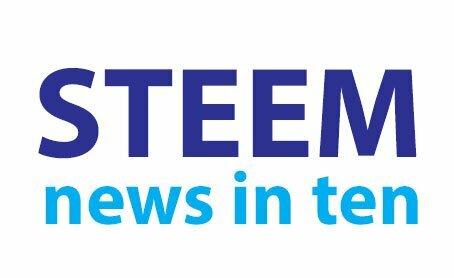 The Steem Foundation Structure Proposal Election begins. Steemonboarding.com is now live, PewDiePie joins Dlive and Actifit ISO launches Friday. Clean Planet, BuzzBreak, Dlike, SwapSteem and KURE are all in the news today. The election being run by the Steem Alliance to select a Foundation Structure Proposal has now begun. Voting to chose one of five remaining proposals runs until 17 April. Guests on the third episode of DO include @project7 (@steemhunt), @mcfarhat (@actifit), @paulag (10,000 Minnows), @hauptmann (@dtube.forum), @diggndeeper.com (OpenBazaar) and @makinstuff (Surthrival Trailer). The multilingual Steem onboarding site Steemonboarding.com, founded by @coruscate and @anomadsoul, has now gone live. The site has launched with 10 introductory videos each in 10 different languages. Top YouTuber PewDiePie has partnered with DLive - the live streaming platform that was originally on Steem. PewDiePie, who has 93 million subscribers on YouTube, will do his first live stream on DLive on Sunday 14 April. Steem commentators @theycallmedan and @meno discuss the wider implications this may have for blockchains in general and Steem in particular. Actifit launches the first ever 'Initial Steem Offering' (ISO) of its AFIT token, in partnership with Steem-Engine.com, on Friday 12 April, 1pm UTC. Founder @mcfarhat will be talking about the ISO and other Actifit news with @pennsif on DO on at 8pm UTC, Thursday on MSP Waves. Global clean-up project Clean Planet has announced that it will be carrying out an airdrop of its CLEAN token on Friday 19 April. The team behind Partiko have released BuzzBreak which allows users to earn money just for reading news stories. Dlike's Initial Exchange Offering (IEO) has now begun on IDCM exchange Korea and will run until 14 April. Buyers will receive a 22% bonus. Dlike are also offering $45,000 worth of tokens for the top 15 buyers. SwapSteem has posted details of how to maximize the number of SWEET tokens that can be earned in their current airdrop. Developer @krnel is making good progress with his KURE Community Curation App. The app now has the facility for directly posting content to the Steem blockchain. KURE Community Curation App, Fundition Update - Posting Main Content to Steem! 10. Are you voting for Dead Witnesses? BONUS #2. Could Steemit Inc run a promo with Coinbase? @riseofth has earnt 160 STEEM from watching videos and answering quizes for various alt coins on Coinbase. Could Steemit Inc fund a similar promotional campaign with Coinbase...? This is #128 (10 Apr '19) of this daily news service. Youtube is indeed a dated platform. Really interesting reading on the world of cryptocurrency. The information you provide us is always immensely useful. Thank you for being such a big part of the whole Steem platform, we need people like you and here at the Co-op, we are more than happy with what you do for us! Your UA account score is currently 5.989 which ranks you at #327 across all Steem accounts.